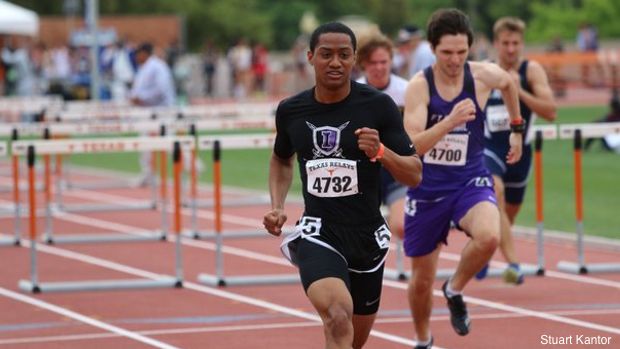 Last year, Terry Smith Jr. won the UIL 5A 300m hurdles at the state meet. The Frisco Independence hurdler took advantage of the hype and interest surrounding other hurlers in the field. This year, he will not be able to slide under the radar. Smith is having the type of year you would expect a returning state champion to have. 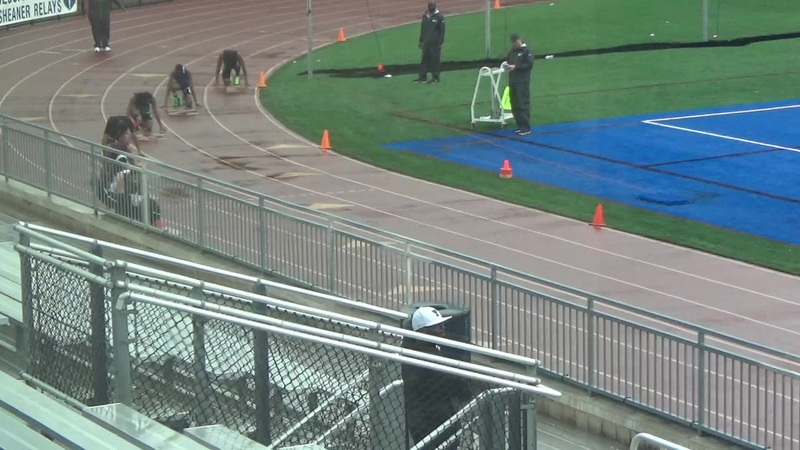 His 300H races are now rounding into shape as a runner of his status expects to see. Earlier in the season, he had taken losses to a few other hurdlers, but he didn't not panic nor did he lose his confidence. He just stayed his course and now, he is what is expected of a returning state champ.....and more. He has dipped under 40.0 on the season with his 38.67 SB at the Dan Christie Relays, which has him ranked in the top 20 in the state. However, it's not his signature event as you would expect that has him getting the attention right now. 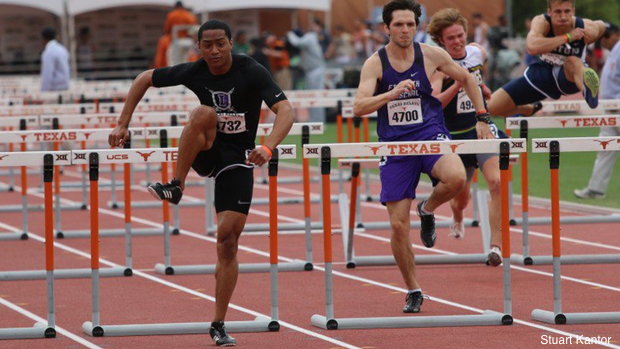 The 110 hurdles is where Smith is turning heads. 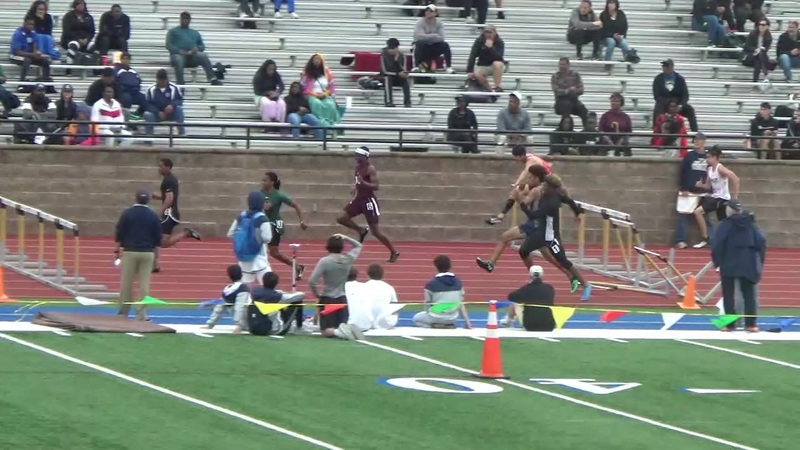 Although, he did get a PR (13.86) and fourth place finish in the 110s at state last year his only other top time and sub 14.33 was his 14.12 at the regional meet. This season, he has already gone 14.06 and then 14.18 and 14.16 at the Texas Relays and is a month ahead of where he was last year. Not being able to quietly sneak into the state meet this year, Smith seems like he is embracing his new role this season and will come in stomping with expectations of an even better outcome than the outstanding finish he had last year. 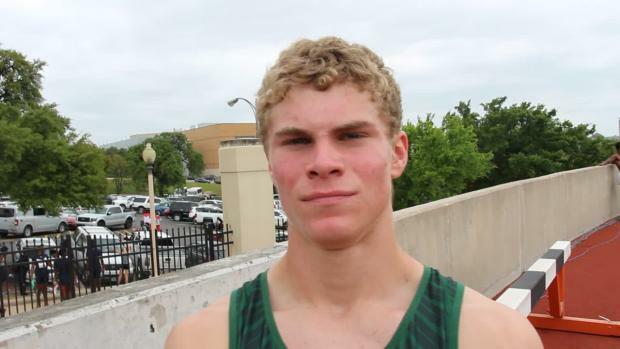 Check out the Q&A that Smith was polite enough to take the time and talk with TX MileSplit. TXMS: How did you feel when you won the UIL 300H title last year? TS Jr. - I had the confidence in myself to do it. But, when I got to the end and they said I had won, I was a little star struck and was like WOW, this is better than I expected. TXMS: How did winning state in your junior year and have a chance to come back and do it again in your senior year affect your off season training? TS Jr. - Things actually got harder, my coaches had high expectations because they want back to back state championships and I kinda want us to get another medal. TXMS: Has this season been different now that you're the one with the bullseye on your back? TS Jr. - My dad tells me a lot about that stuff, that there is a target on my back, but I kinda just go with the flow, show up, run, walk off and go get something to eat, LOL. TXMS: A hurdle double is possible for you, which even for the best it has been hard to do, how much work do you put in to make it even a legitimate thought to do? TS Jr. - It's a lot of missed weekends and a lot of late nights too. 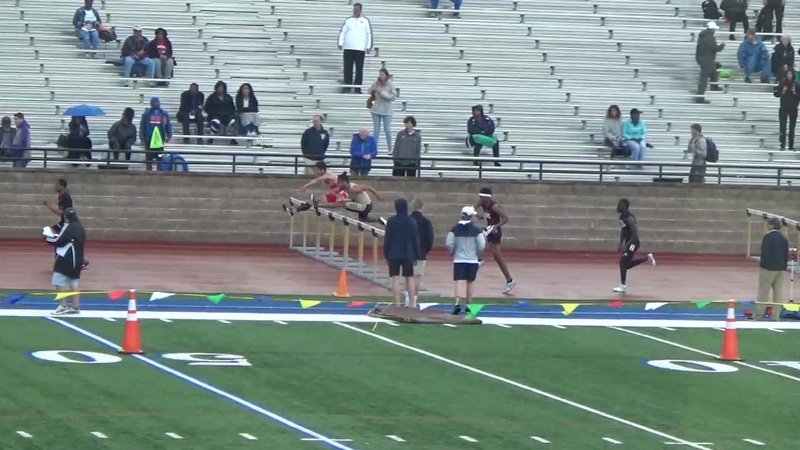 I don't think I've a had a free Saturday in almost 3 months since off season finished and track season started up....pretty much eat, sleep, repeat hurdles. TXMS: You look physically fit and you're legs are massive, how much time did you spend in the weight room during the off season? TS Jr.- I actually spent a lot of time in the weight room. At school I asked the football coach if I could come and lift with them. Some of the track people weren't as serious about lifting as I wanted to be, so I had to find a different crowd and that got me there. 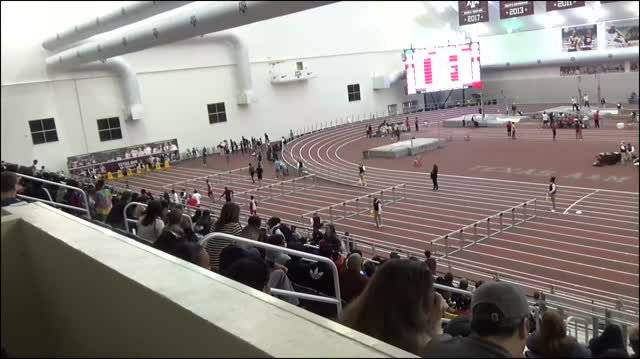 TXMS: How different is the football weight room atmosphere than the normal track team weight room atmophere? TS Jr. - It's an entirely different atmosphere. I run track, the track people I love them, we work hard, but there is something about the football guys in there. 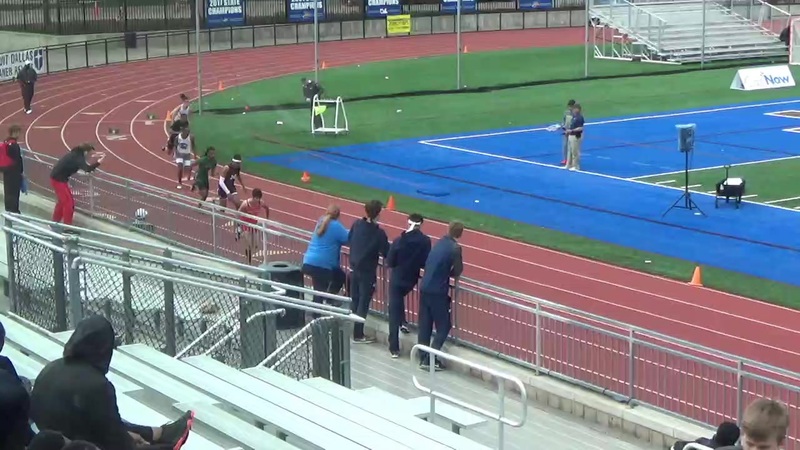 The track atmosphere is like we gotta go, we gotta get it. The football weight room atmosphere is like it's now or never, you don't have an option but to get strong, get in or get out. TXMS: Last May was a great ending for you, how would you write the ending for this season if it were up to you? TS Jr. - I think I just hope for the best and get some good times. Winning would be cool, but I just want some better times heading into college for when I get to Mississippi State University.